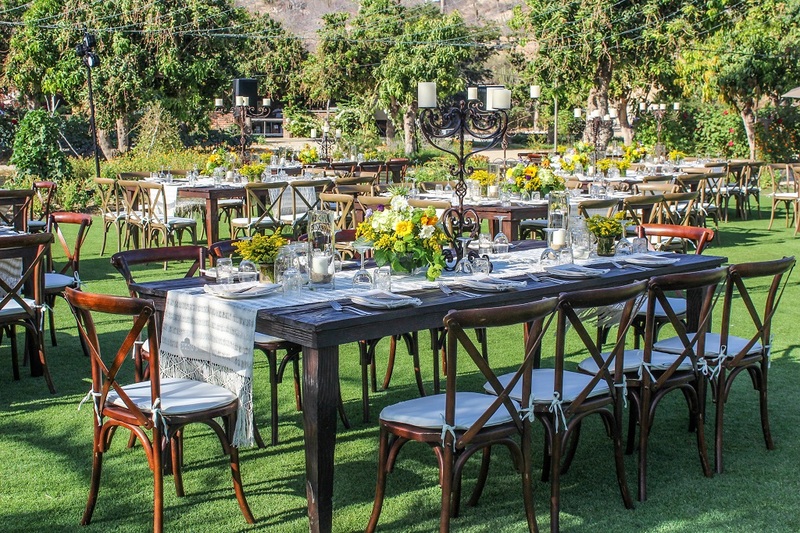 Light, bright, and whimsical wildflowers were the main design element for this relaxed, outdoor dinner at Flora Farms in San Jose del Cabo. 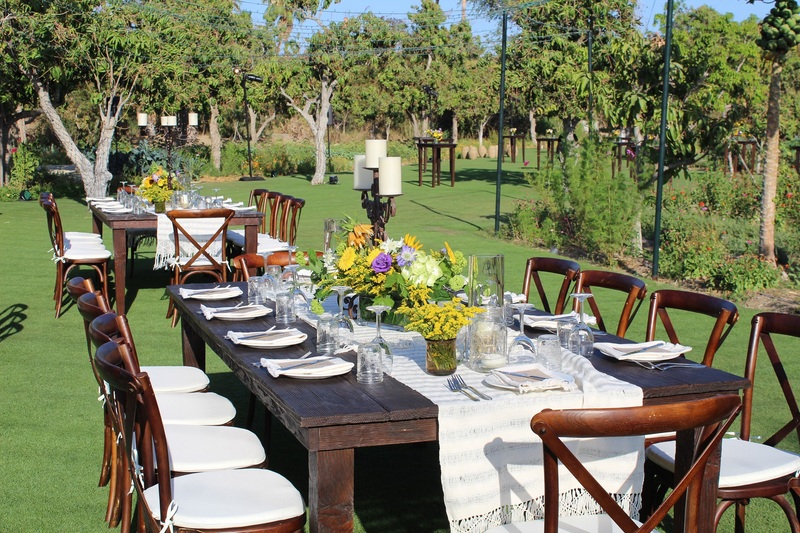 The first of several events in a week-long corporate event taking place here in Los Cabos, the casual, garden atmosphere was planned to set the tone for the whole week. 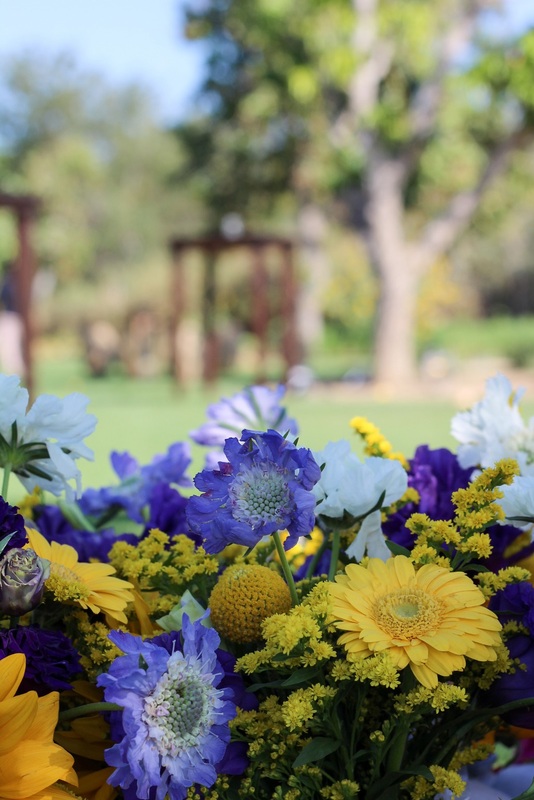 Specifically, to encourage guests, colleagues and comrades to meet and mingle, collaborate and celebrate. 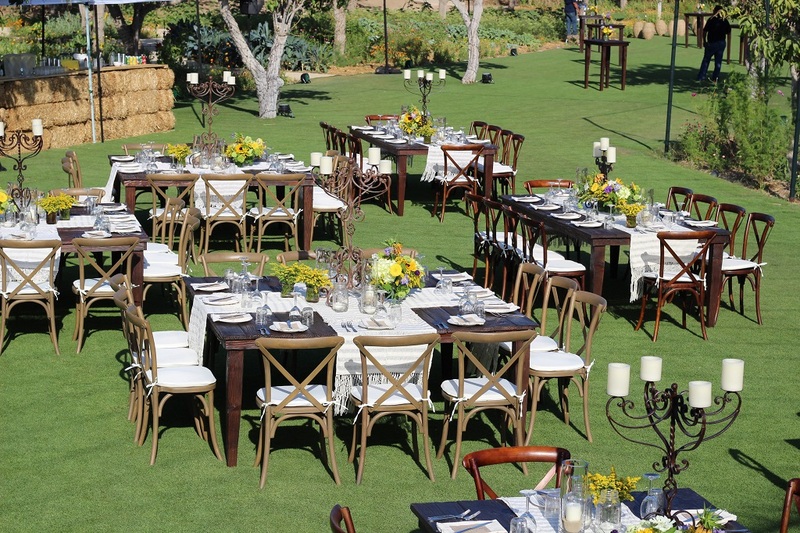 Elena Damy, our Creative Director, created a fresh, uncomplicated environment on the lawn using distressed wood tables and chairs, natural woven runners, and rustic iron candelabra. 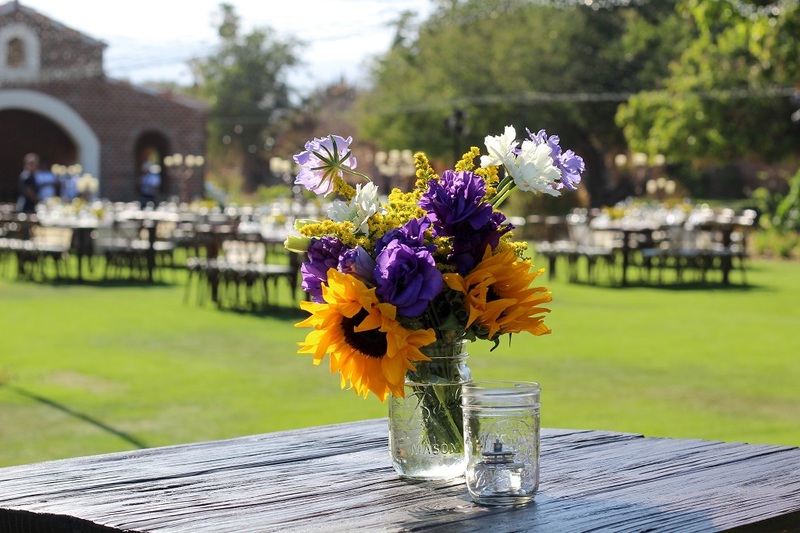 Elena chose to design the floor plan for the event using a mix of rectangular tables (seating four guests per side) and oversized square tables (seating three guests per side) in a rustic finish inspired by the barn on property at Flora Farms. 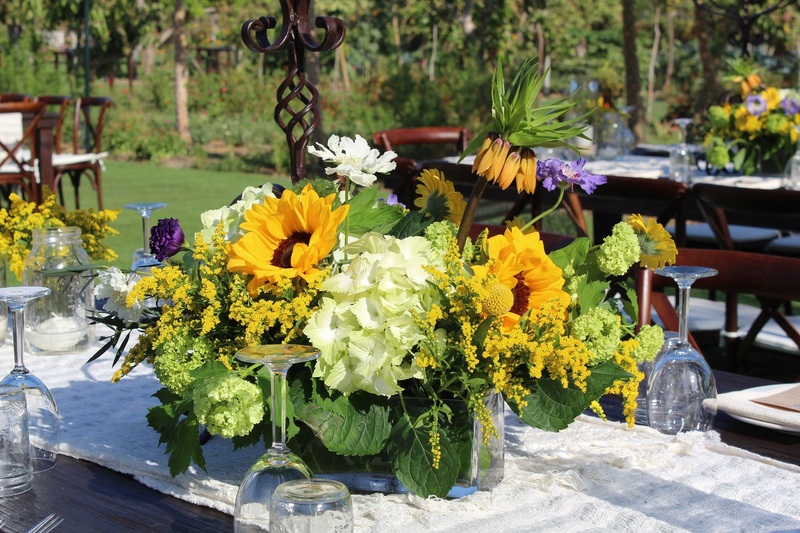 Airy floral arrangements were added to the cocktail and dinner tables. 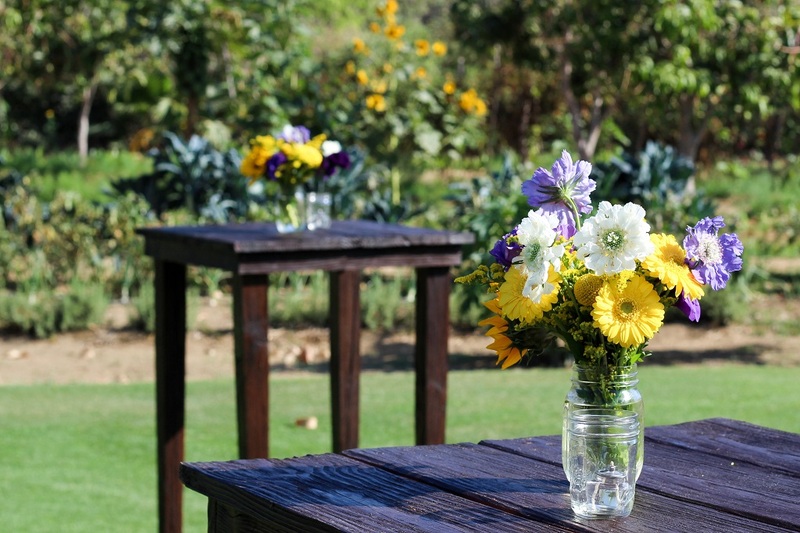 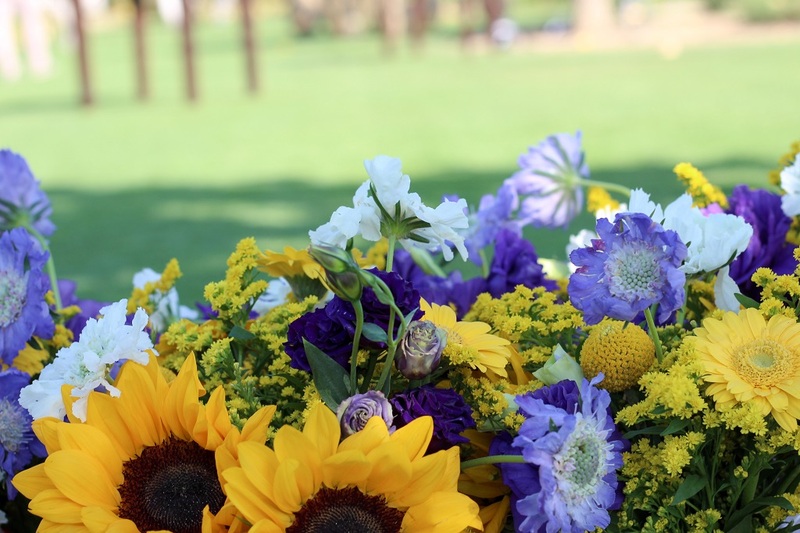 Elena designed all the centerpieces using mixed bouquets of blooms that included: happy yellow sunflowers, goldenrod and gerbera daisies, as well as celadon hydrangea, apple green viburnum, lavender scabiosa, purple lisianthus, and pops of orange fritillaria. 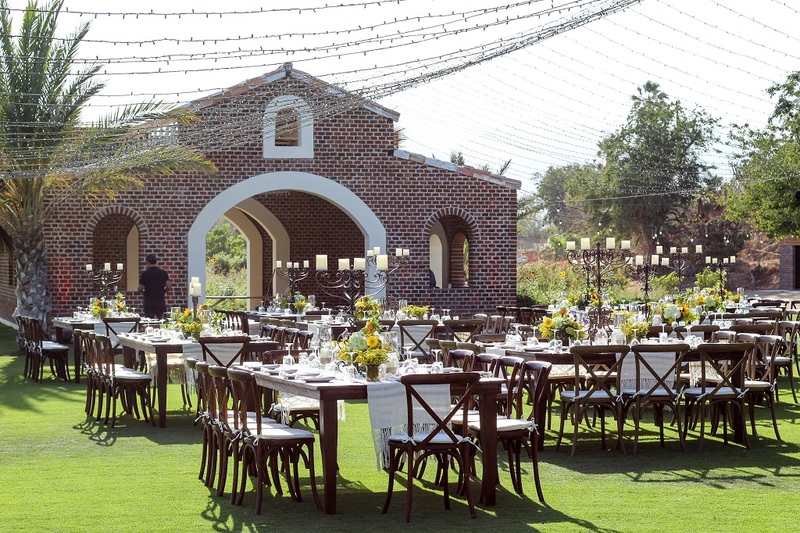 Guests enjoyed the warmth of the setting sun during cocktails and the twinkle of little white lights under the stars during dinner. 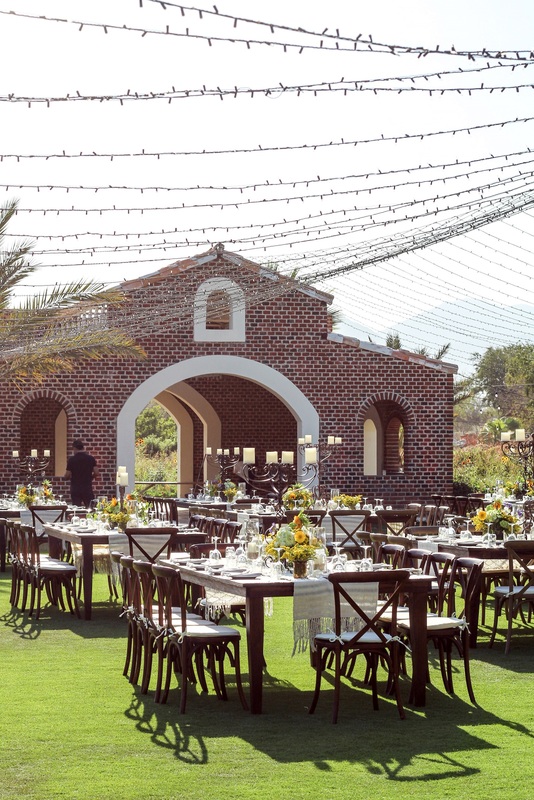 It was the perfect way to begin a week in Baja!